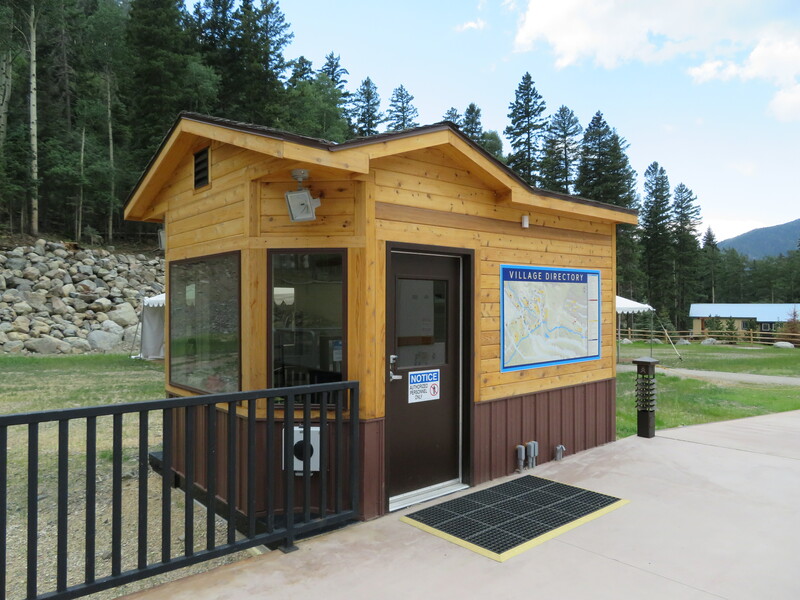 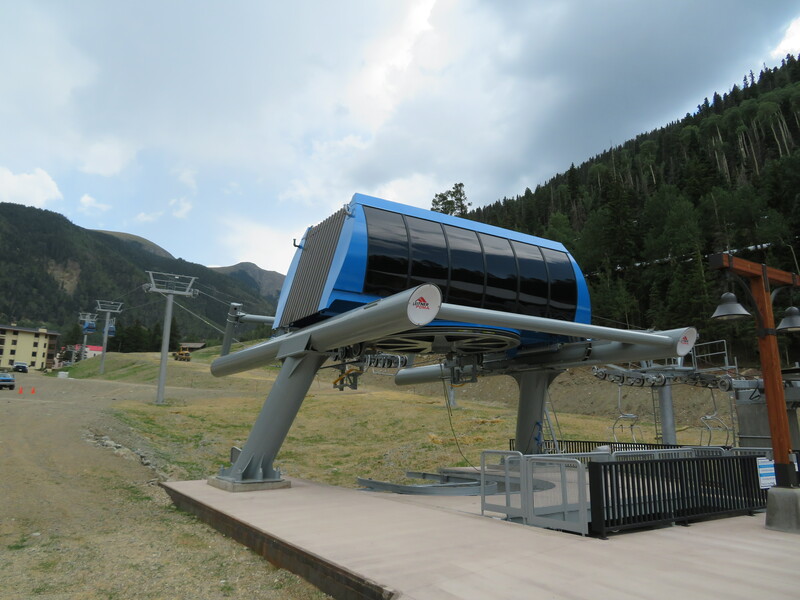 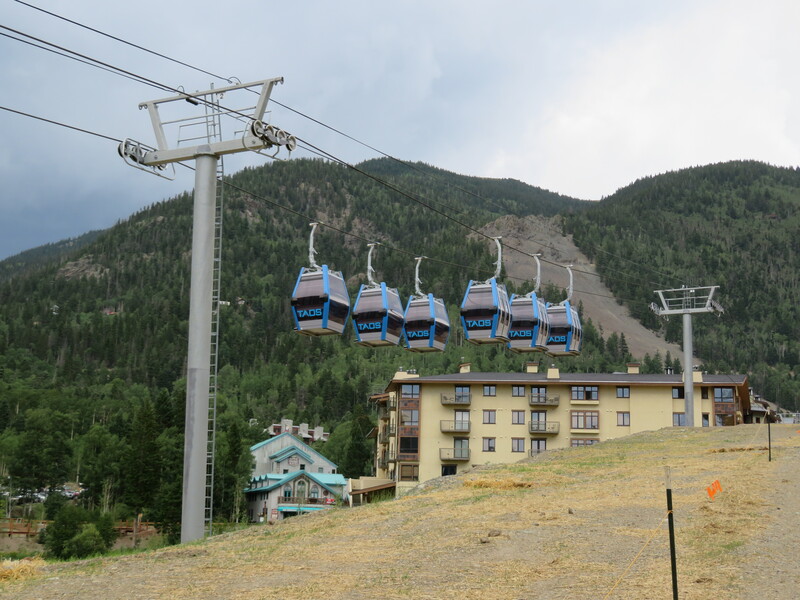 The Taos Children’s Center is services by a dedicated pulse gondola that connects it to the village. 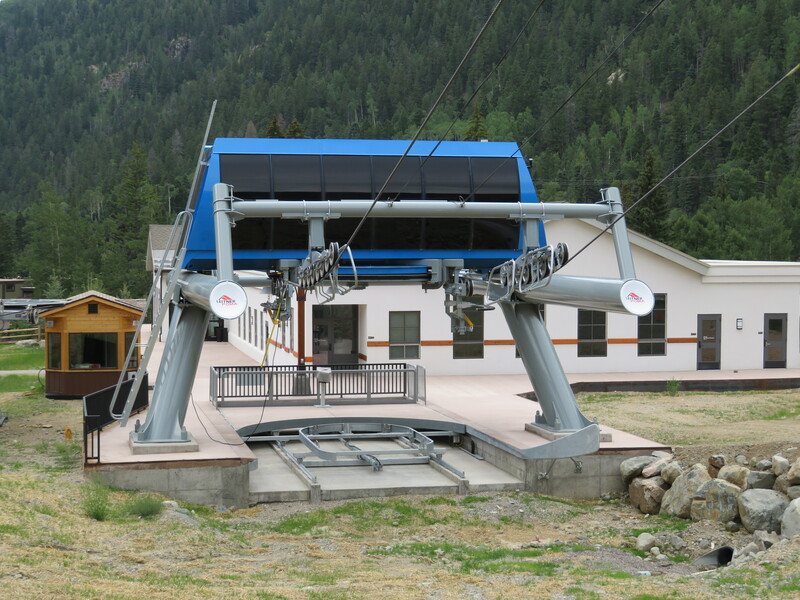 This Leitner-Poma operator house houses equipment for the gondola and a Skytrac triple next door. 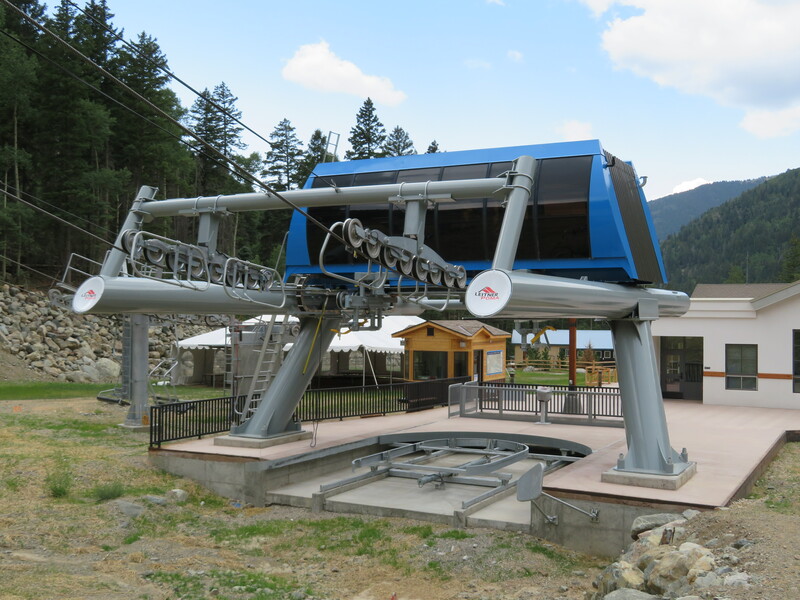 The lift has four towers and six carriers. 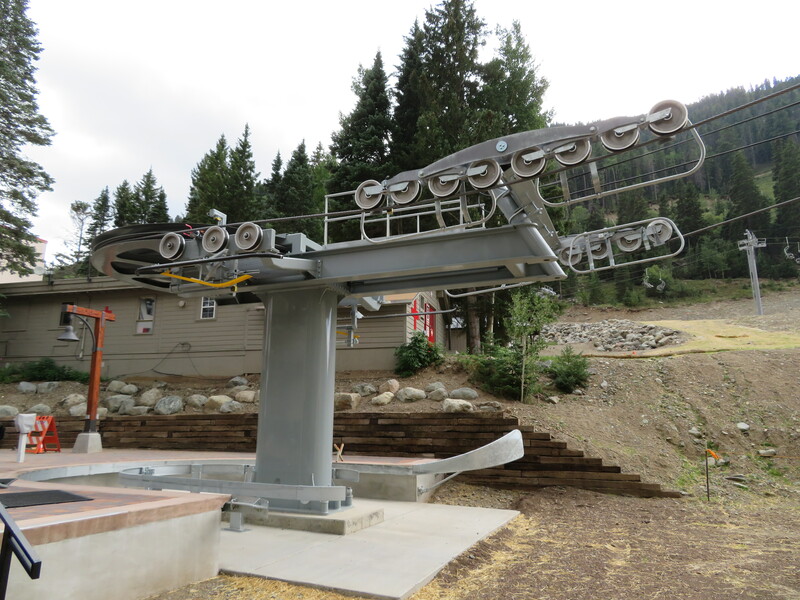 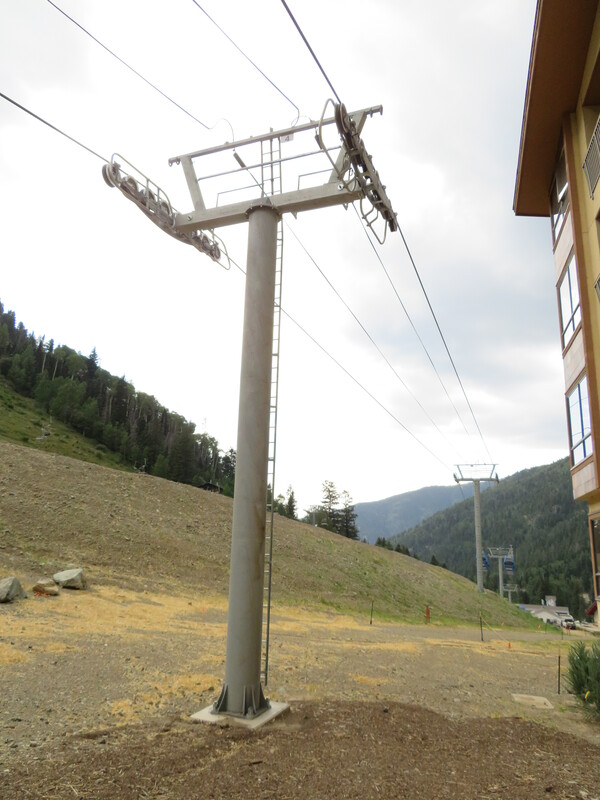 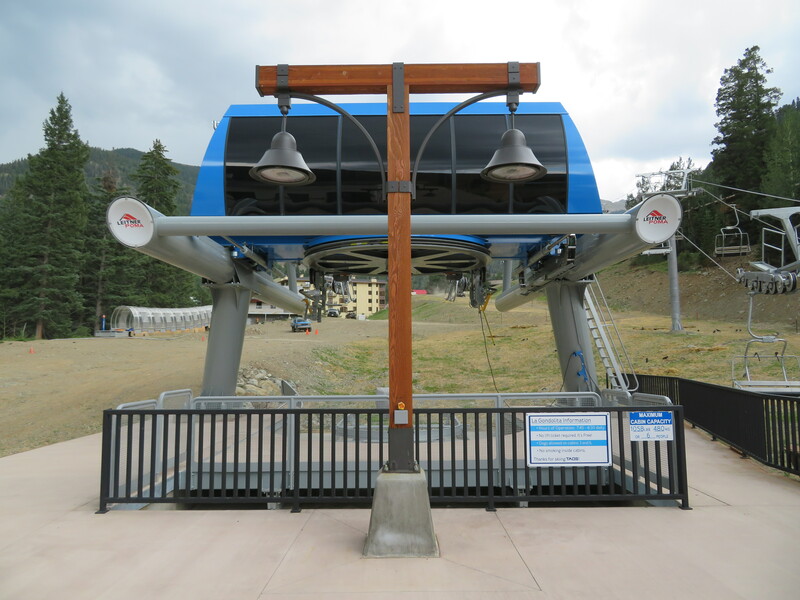 Like most pulse gondolas, the loading area moves hydraulically with the tension bullwheel. 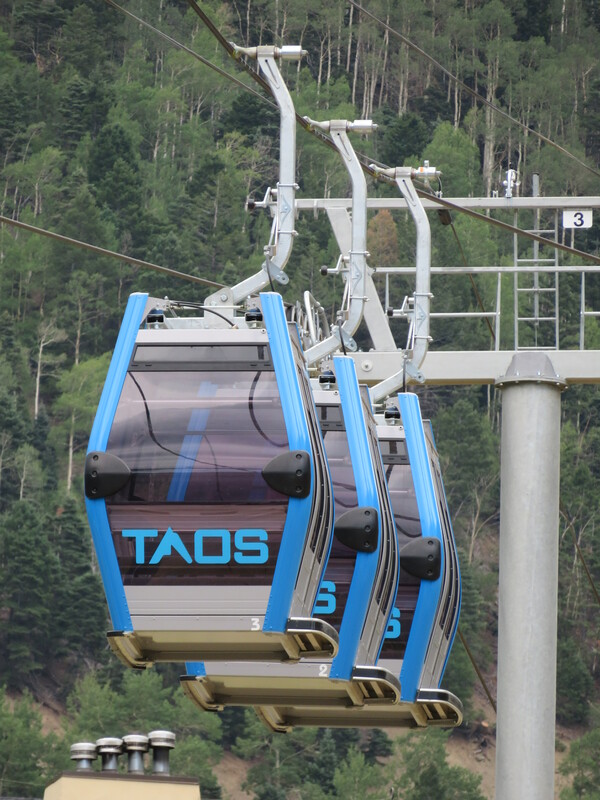 Sigma six passenger Diamond cabins. 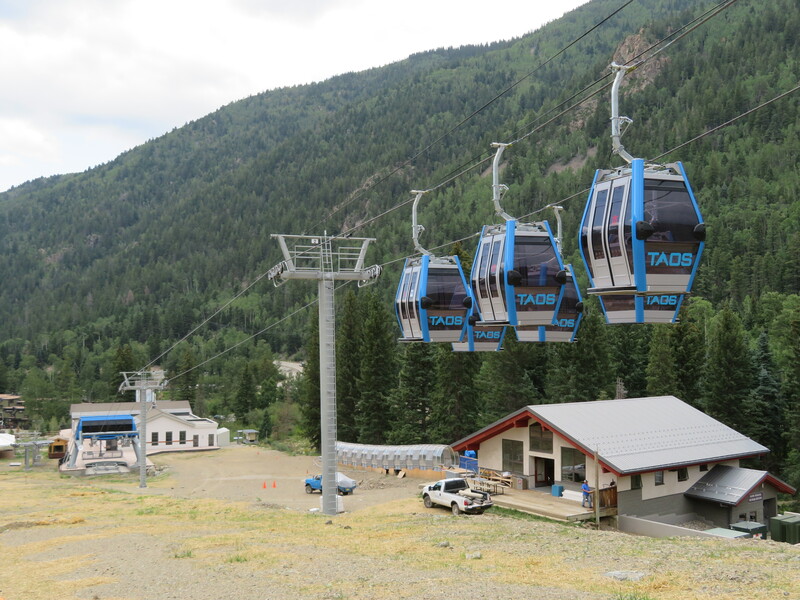 Cabins parked between towers 2 and 3. 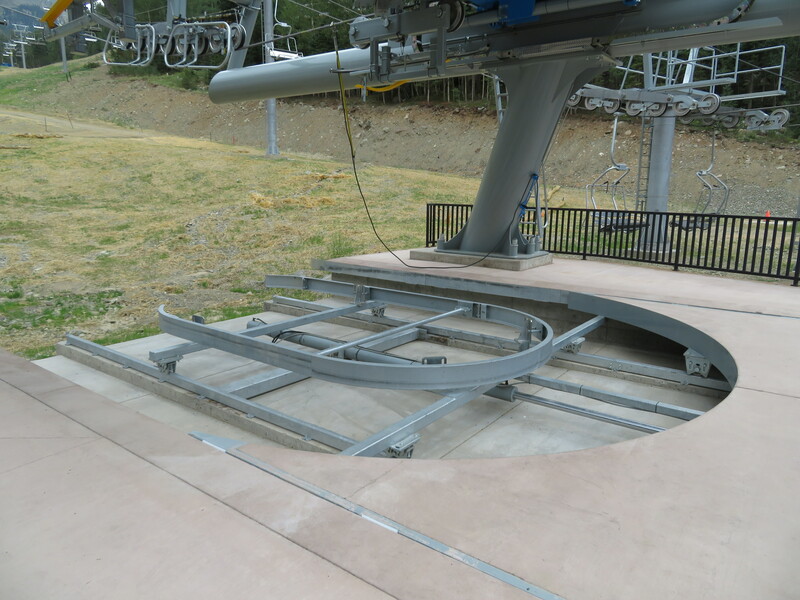 Lower part of the short lift line. 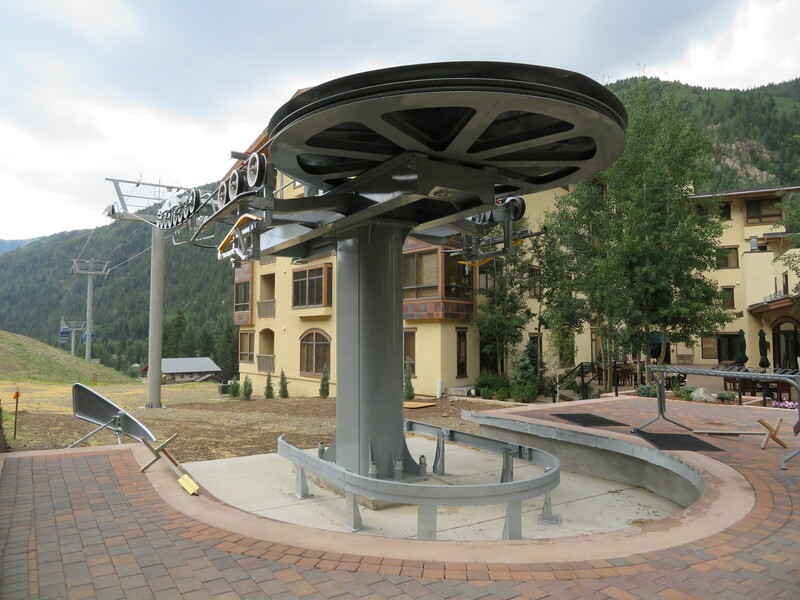 Fixed return bullwheel in the Taos village.